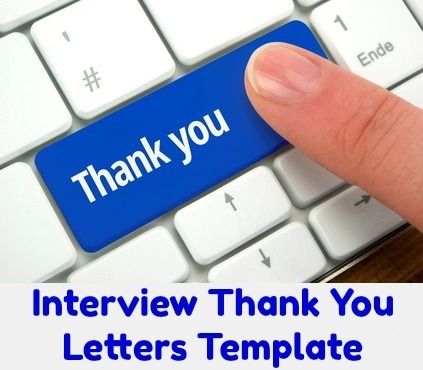 This interview thank you letters template is a good place to start with your own winning job interview thank you letter or email. 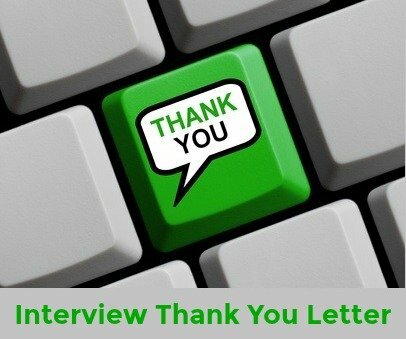 Simply customize the template to develop an impressive job interview thank you note that sets you apart from the competition. Thank you for the opportunity to interview for the XYZ job this morning. Everything I learned from you today leads me to believe that this is exactly the type of position where I could fully utilize my skills and make a valuable contribution. Thank you very much for taking the time to meet with me today. I enjoyed our discussion and I am even more excited about the possibility of working for ABC Company and with your team. Thank you for taking the time to provide me with so much information about the XYZ job today. I left the interview feeling very enthusiastic about the scope of the job as well as its close match to my abilities and experience. Is there anything else you want the interviewer to know? this is an opportunity to provide any information you feel you left out during the interview and that would benefit your job application. I would like to emphasize that what I lack in specific experience in your industry I more than make up for with my proven record of providing outstanding customer service. I have enclosed a list of references with all the necessary contact details as you requested. I am confident they will be able to confirm my reliability and commitment. Restate your appreciation for the interview and refer positively to the next step in the hiring process. Thank you again for your time. I am looking forward to hearing from you about the next steps and please don't hesitate to contact me in the meantime if you have any questions. The time you kindly took to explain the job in more detail and answer my questions has made me even more interested in this position. Please let me know if there is any information I can provide that would advance my application to the next level. This interview thank you email is suitable after a fairly informal first interview. It was a pleasure meeting with you yesterday. I appreciate the time you spent with me and all the information you provided. Our conversation made me even more excited about this job opportunity. My increased understanding of the job requirements confirms my belief that this position is an excellent fit with my skills and abilities. In particular my planning and organizational skills will contribute to the productivity improvements you discussed for your department. If there is any other information that I can provide in order to assist your decision, please let me know. I look forward to hearing from you soon. I would like to thank you for the interview this afternoon and to confirm my strong interest in the entry level position with your company. I am confident that my education and background have provided me with the right foundation on which to build my experience in this industry. I have always been a hard worker and I am committed to proving myself a valued employee. I firmly believe that I can quickly make a positive contribution to your company. I look forward to meeting with you again in the near future. In the meantime please let me know if there is any information I can provide that would further advance my application. Thank you again for your time and consideration. The 7 steps to take after your job interview to improve your chances of success. Find out how you can lose the job offer with these post interview mistakes.